Meeting the emotional needs of a child raises well-rounded, competent, and capable kids. 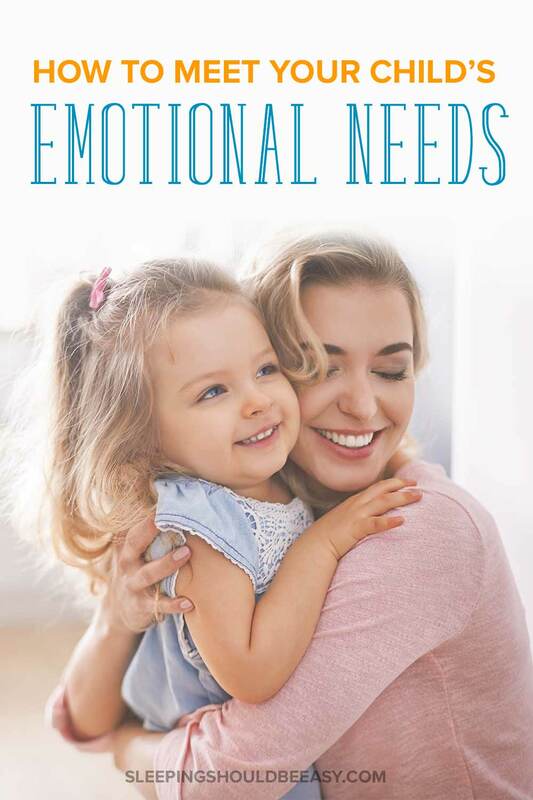 Discover 7 unique ways to nurture your child’s emotional needs. 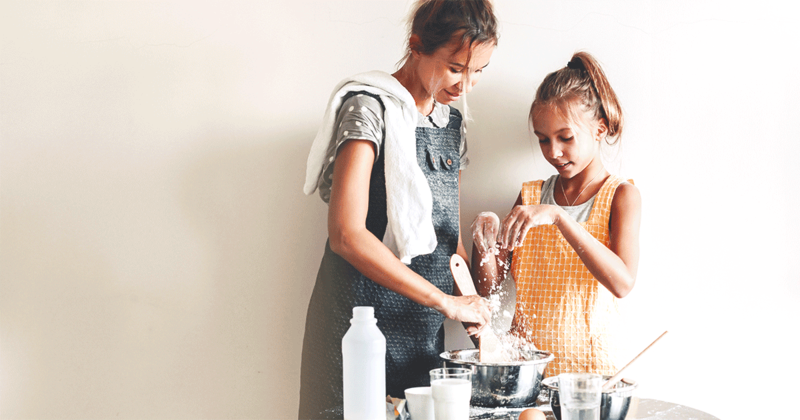 Less tantrums, more listening, getting along with others… every parent wants nearly the same things from their kids, things we think are rooted in their behavior. 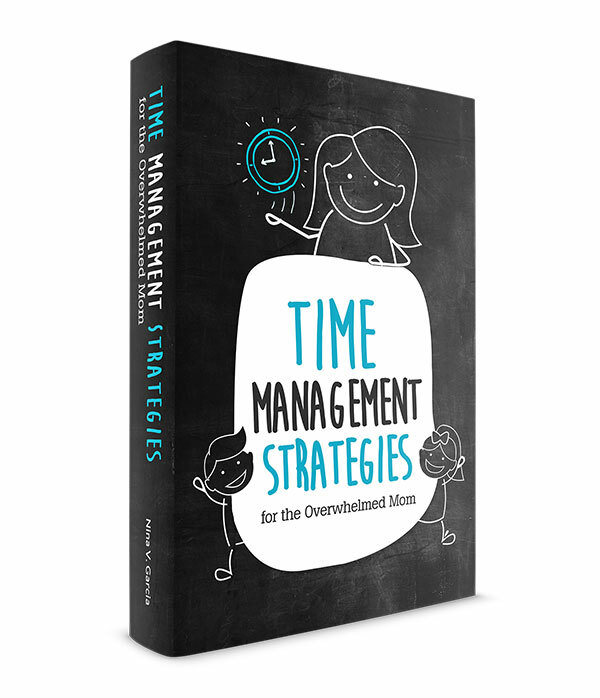 Want less tantrums? Simply put your foot down. And while these tips and tricks are the actions we take to course-correct, they stem from a deeper reason why kids behave that way in the first place. For instance, why do kids throw tantrums, and more important, why is it that showing empathy almost always squashes the tantrums immediately? As a first-time mom, I did all I could to give my son a good start in life, from researching how the brain works to setting healthy eating habits. But what I didn’t realize was that many of the dreams we have for our kids are rooted in meeting their emotional needs in the first place. A solid foundation of emotions sets kids up for success in all areas of life, from getting along with others to doing well in school and even to sleeping well at night. More important though, meeting the emotional needs of a child establishes a strong relationship between the two of you, one that wouldn’t exist if this foundation wasn’t nurtured. How often have we felt disappointed when our kids made mistakes, or held a grudge the rest of the day when they threw a tantrum in the morning? Kids need to feel like they’re accepted for exactly who they are, without any conditions placed. That means you love your child just the same whether she woke up happy and pleasant or if she started the day grumpy and out of sorts. No matter how different her personality or interests may be from yours, accept her exactly for who she is so she knows she will always belong. It also means we allow kids to make mistakes, without making them feel guilty or less-loved. So much so that hitting her brother means the behavior is wrong, but that she herself will always have a place in your family. Avoid setting her up on an unrealistic pedestal of perfection, and instead recognize not only the inevitability of mistakes, but their benefits as well. And don’t hold grudges. Have you ever felt so angry at your child that you let that mood fester for the rest of the day, even when she’s already over it? Forgive and move on, knowing that it’s not up to your child to make you feel better or that you can “guilt” her into not behaving this way again. Learn more about the importance of accepting your child for who she is. 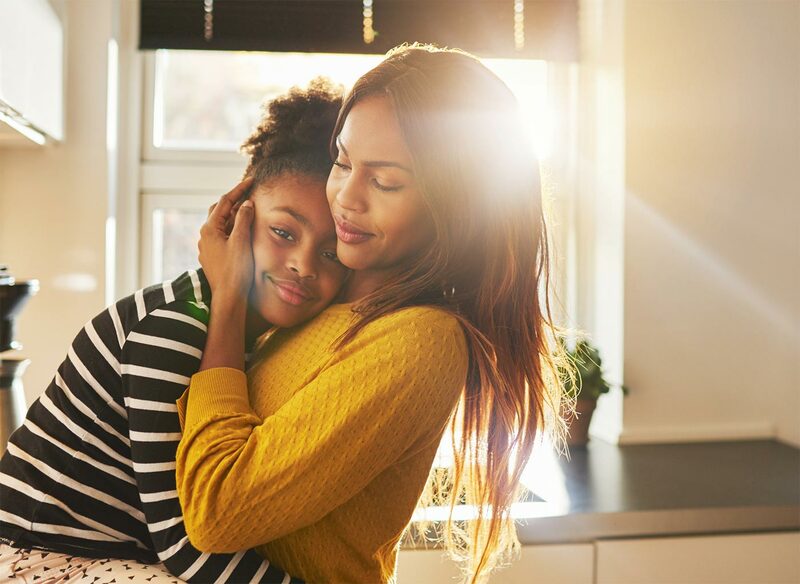 Developing a strong connection with your child is crucial to meeting her emotional needs. You might spend a few moments every day simply holding her in your arms, reminding her of the special things about her you love. Or maybe it’s reminding her she’s loved by many people in her life, or doing random acts of kindness—gestures to brighten his day. Other times it’s simply listening and being there for her when all she needs is your presence. Giving your attention—without any distraction or multitasking—sends a powerful message that she is truly loved and adored. Discover why it’s important to tell your kids you love them, even when it can be hard to. No child—no person—thrives when she feels under the control of someone else. Parenting gets tricky because we sometimes assume that, as the adult, we have full control over our kids, even saying we’re doing it for their own good. But not only does that backfire, it’s inherently wrong. Sure, you can threaten and bribe your child to do things, but these fear- and reward-based tactics are short-lived and eventually don’t work. Instead, the only person you can truly control is yourself. 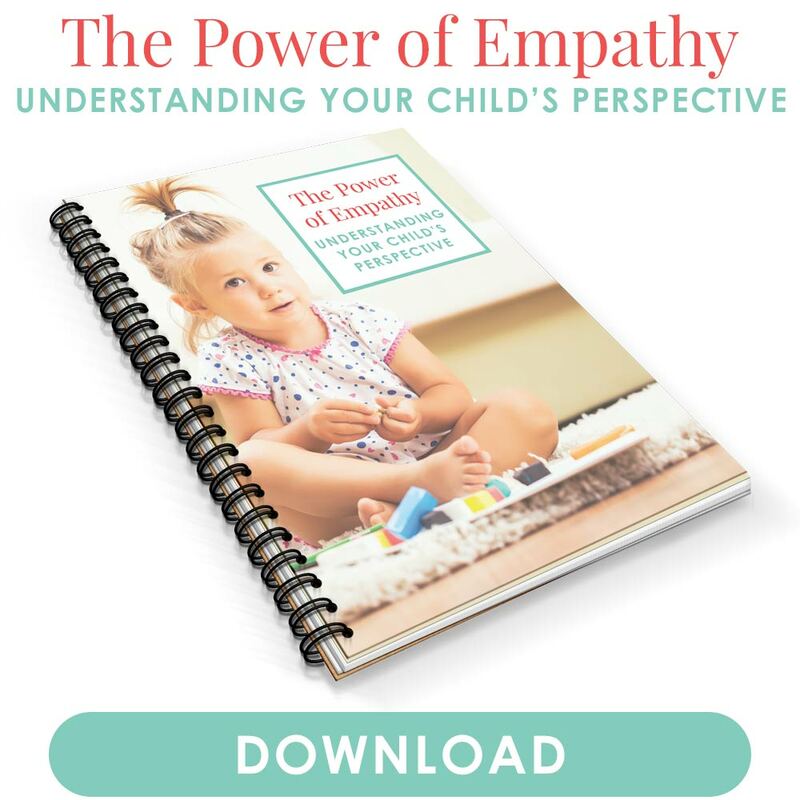 This allows you to realize that your child needs to feel in control of herself, and that she has, at the end of the day, the ultimate deciding factor over her life. How can you help nurture a healthy sense of control in your child? First, stop hovering over her every move, and instead provide the autonomy she needs that will serve her better. Offer parent-approved choices she can pick from, so that she can reclaim power she may feel she has lost for being a child. And allow her to solve her own problems instead of feeling compelled to “save” her from every disappointment or frustration. These natural consequences are fantastic opportunities for your child to learn how to cope with life’s inevitable dips. Get more tips on how to stop hovering over your child. There’s a reason I don’t share the catastrophes we often see on the news with my kids. If I as an adult am overwhelmed by what I see, I can’t imagine how kids can face them as well. But feeling safe goes beyond knowing what’s going on in the news. 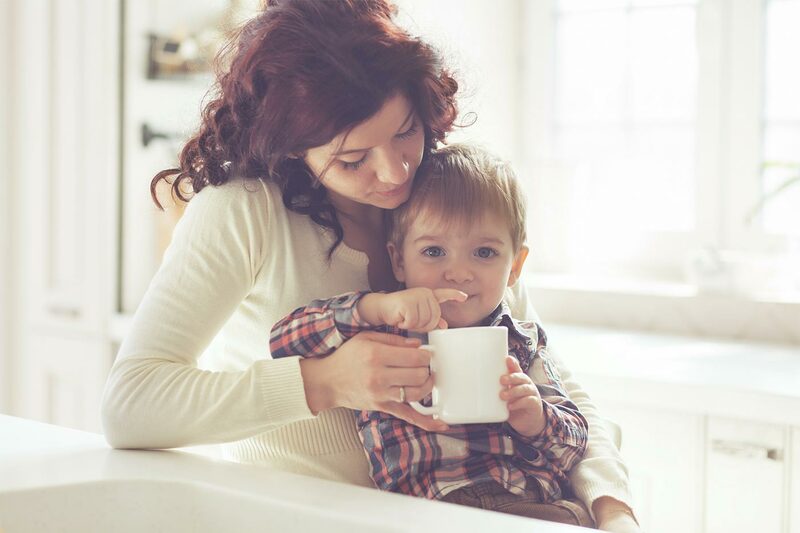 Safety can mean having a consistent routine at home, one that allows your child to know what to expect without feeling anxious about potential changes. Feeling safe can mean setting boundaries that your child, despite her protests, actually wants and needs in order to know her limits. You can also nurture a feeling of safety by not being worried or anxious yourself. Kids model our behavior, and the more your child sees you worry, the less certain she feels. Finally, encourage your child to combat negative news with finding solutions. My eldest has often complained that, for all the good intentions eco-friendly programs may have, they sometimes leave him overwhelmed with the disasters that seem inevitable for the planet. To feel empowered—not afraid—we came up with solutions on tangible things he can do, so that these doom-and-gloom forecasts aren’t as inevitable as they might seem. Get more tips about giving your child boundaries. Beyond feeling accepted and loved, kids need to feel supported, whether in their interests and hobbies or attempts and failures. Maybe this means showing up for your child’s swim lessons—or even encouraging them in the first place when he showed interest in swimming. Or perhaps it’s being fascinated with his world, even if you’ve had enough of dinosaurs or superheroes or pop music for your taste. Or maybe it simply means encouraging him to keep going, and praising him for his effort and grit. And throughout it all, you offer your support by placing no judgment on who he is or where his interests lie. That way, he won’t feel compelled to seek your approval each time he makes a painting, but simply paints for the sheer joy it gives him inside. For each tantrum your child throws, know that however petty the reason for the tantrum may be, all she wants is to feel understood. Fighting over a toy or crying about not getting a snack can seem insignificant to us adults. After all, from our point of view, these don’t seem important enough to warrant the kind of meltdowns kids can have. But you won’t get through to your child, much less calm her down, unless you first show you understand. This means showing empathy and actually thinking about what she might be feeling. That perhaps you would feel the same way if you were in her shoes, or if you also had to fight with someone over something you wanted. You’d then reassure her that you “get it,” that her reasons truly are valid to her, and that they’re no less significant. And you’d relate to her your own struggles, perhaps showing her how she might be able to cope with this difficulty. Because no one wants to feel brushed aside or misunderstood. Kids want to feel like someone else, especially their parents, can understand how they feel and know the depth of their emotions. The essence of who we are deep within goes beyond age, temperament, even personality—who we are as a person is so much more than that. To truly meet the emotional needs of a child, we need to value the person that they are. This starts with being respectful to your child. Think about your latest interactions with him—is that how you would behave with others? We respect others—whether our spouses, family and friends, even strangers—but don’t always extend the same respect to our kids. Where we might be more mindful of what we say to strangers, we feel at liberty to unleash harsh words or poor behavior to our kids. Being valued means showing your child you respect him, even when you need to correct his behavior or when you’re having a bad day yourself. You can also spend a few moments as a family, particularly at dinnertime, going around and asking each child for his opinion or thoughts. This shows that you value what he has to say, and that he has the safe space to say it. Get more tips on the importance of respecting your child. All parents want the best for their kids, right from the start, but sometimes we overlook one of the simplest ways to nurture their well-being: by meeting the emotional needs of a child. It starts with accepting your child for who she is, and making sure she feels loved no matter what. You can also give her a sense of control over who she is instead of deciding everything for her. Create a feeling of safety, all while supporting her interests and goals. Make sure she feels understood, showing empathy for how she feels, no matter how petty it may seem. And finally, value the person that she is, reminding her that she is important—a blessing—to have in your life and in this world. Any mom, first-time or veteran, doesn’t always think about the emotional needs of a child. But it’s exactly these factors that contribute to the success we want for them, from leading a happy and confident life and even to sleeping well at night. Tell me in the comments: what are your best tips to nurture the emotional needs of a child?